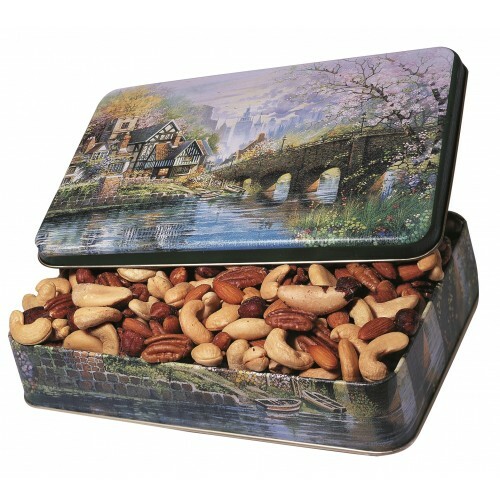 We package 3 pounds of our finest Deluxe Mixed nuts in an old fashioned European bridge scene tin. The tin is unusual. It is out of production and has become very collectable. The scene is a traditional scene that you would see all over Europe, out in the countryside. 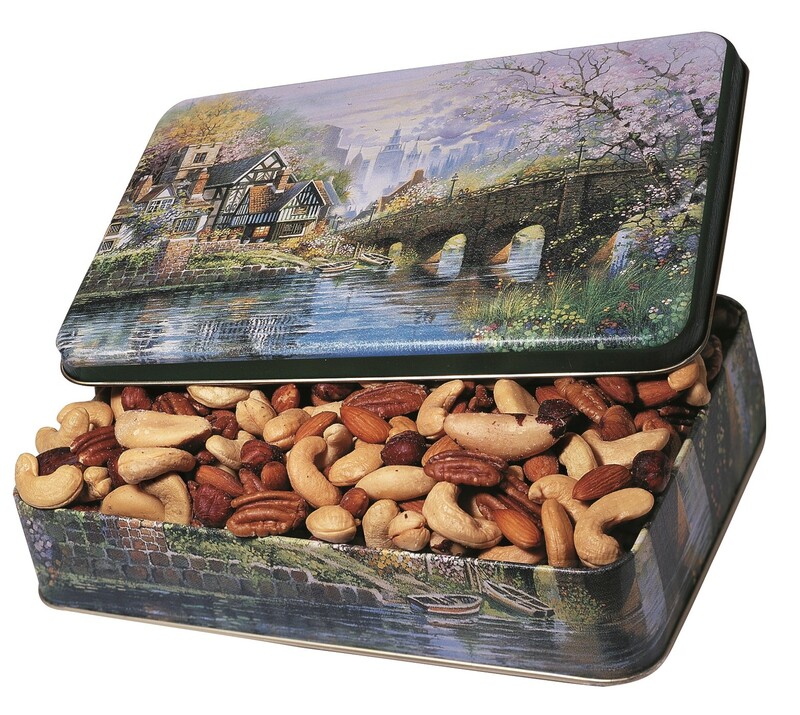 Our Deluxe Mixed Nuts are a very popular selection.... This makes a wonderful gift selection for all sorts of special people!